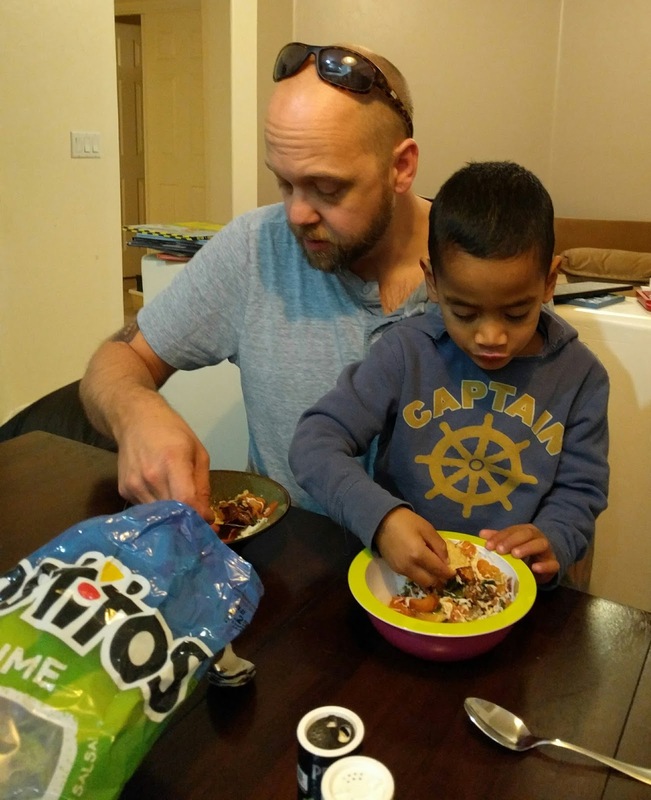 Once we committed to D's new job here in Tucson, one of the first things we started looking for was a Community Sponsored Agriculture (CSA) program to join. 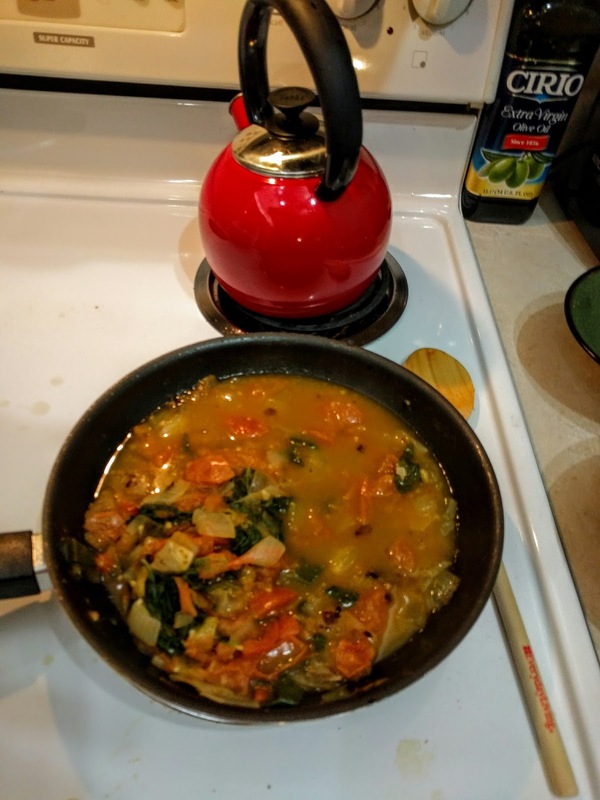 We'd always loved eating seasonally from the Farmer's Market in Omaha before we moved to Kwaj and had really missed that aspect of our cooking and eating lives while we lived overseas. I got us signed up for the Tucson CSA as soon as Sky and I arrived here and we had our first pick up last week. I do love a challenge but this first CSA box really threw me for a loop because it was almost all winter greens : arugula, braising mix, napa cabbage, quelites, rapini, toscano kale, plus navel oranges and pecans. I didn't even know what some of them were! Braising mix? Quelites? After an hour or so with my good friend Google, I had a list of recipes and was ready to get cooking. We started with the greens that we were most familiar with: toscano kale. 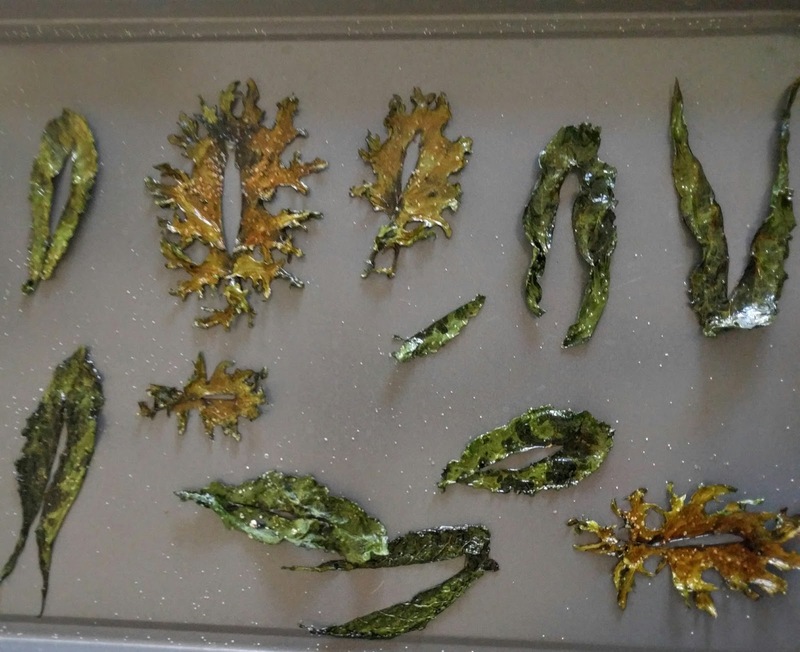 We'd tried making kale chips on Kwaj but they never seemed to come out quite right. One afternoon after school, Sky and I tried a recipe from Epicurious. Ten short minutes in the oven and I had a snack that Sky couldn't keep her hands off of! I ended up using the entire bunch of kale in one day because she and the rest of the kids just kept eating the chips as soon as they were cool. Another big hit with the family was cabbage enchiladas. While I was looking up recipes, I saw quite a few for stuffed cabbage rolls but none of them sounded really good to me. Since I had some leftover taco meat and rice that I wanted to use up, I decided to modify the recipes into enchiladas. I boiled the leaves to soften them, then rolled them up around the meat, rice, and some mozzarella cheese. Once I had a full pan of rolls, I poured in enchilada sauce to cover it, added more cheese on top and baked it until it was warm and bubbly. The kids all loved it and ate it so quickly that I didn't get a chance to get a picture. I made my bacon and onion risotto one night and since I had the bacon drippings from that recipe, I made a warm bacon viniagrette to serve over a chopped cabbage salad. D loves making chicken wings and he made some this weekend when we had friends over and to go with his wings, we tried another Epicurious recipe, this time for the braising greens: Sweet potatoes, apples, and braising greens. The kids weren't huge fans of this one but the adults all thought that it was pretty good (and it went great with the wings!). My original plan had been to serve the guisado over rice but I didn't have enough time to make the rice. 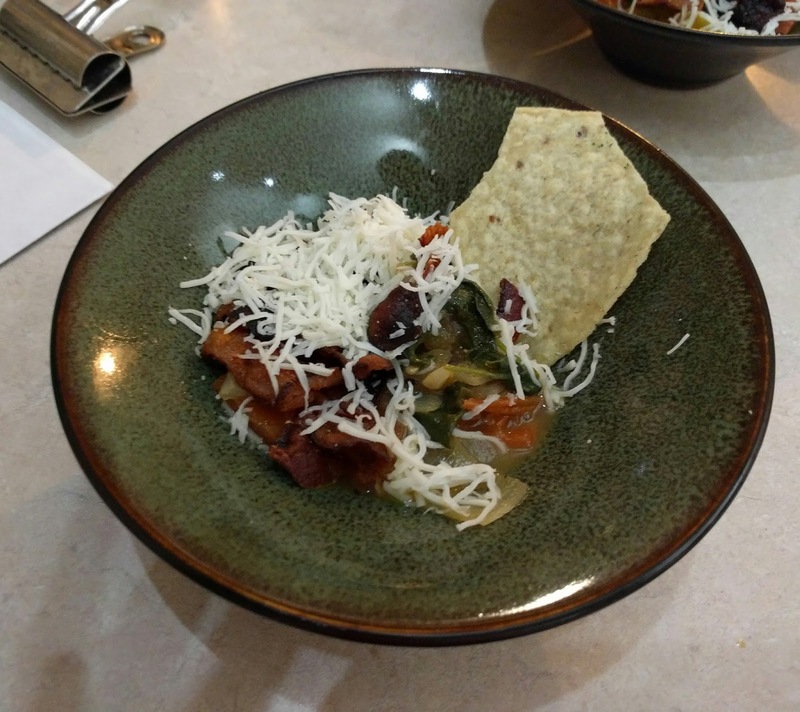 My back up was to serve it wrapped in tortillas but it was a little to soupy for that. Luckily, we had a bag of tortilla chips in the pantry. I crumbled some bacon on top, added cheese and put out the "chip spoons". Do you belong to a CSA? Have you ever gotten ingredients that you just didn't know what to with? 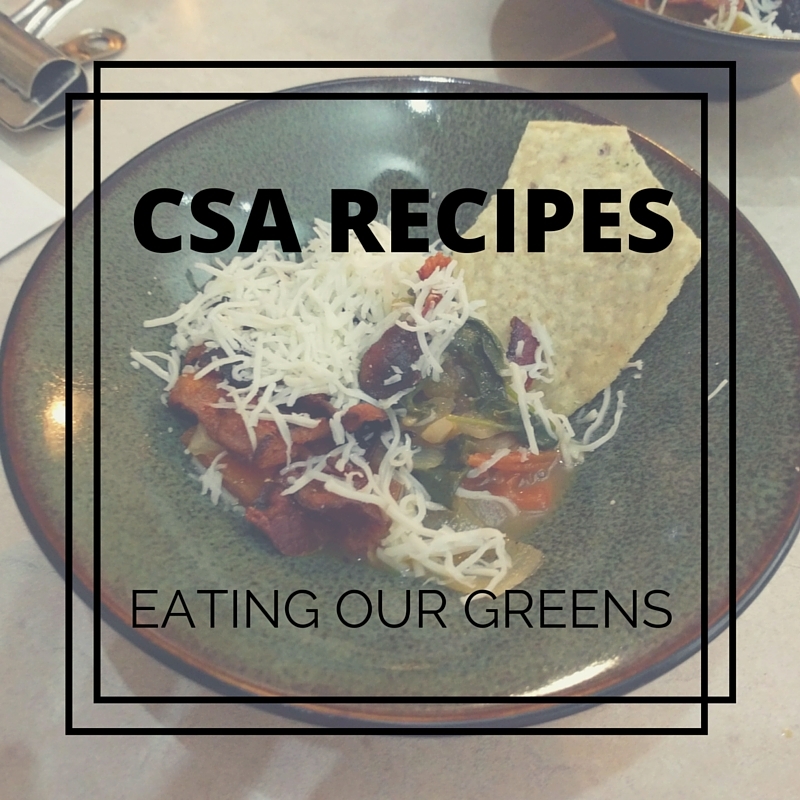 Do you have any favorite CSA box recipes? Thanks for stopping by Maria! 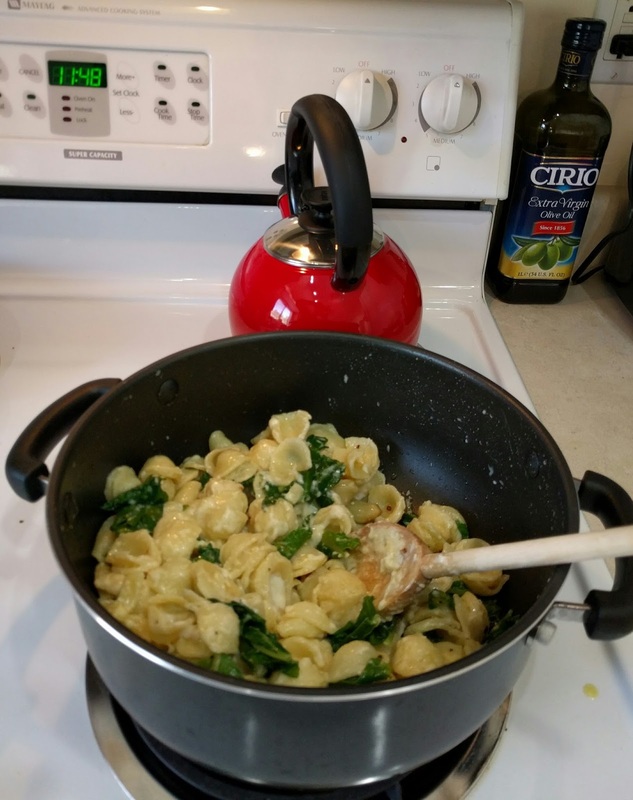 Yes, joining the CSA has been a great way to get more fresh food onto our table and I really enjoy trying all the new recipes or working the ingredients into our family favorites. It's also been better for our grocery bill. Thanks for co-hosting the Shine blog hop!